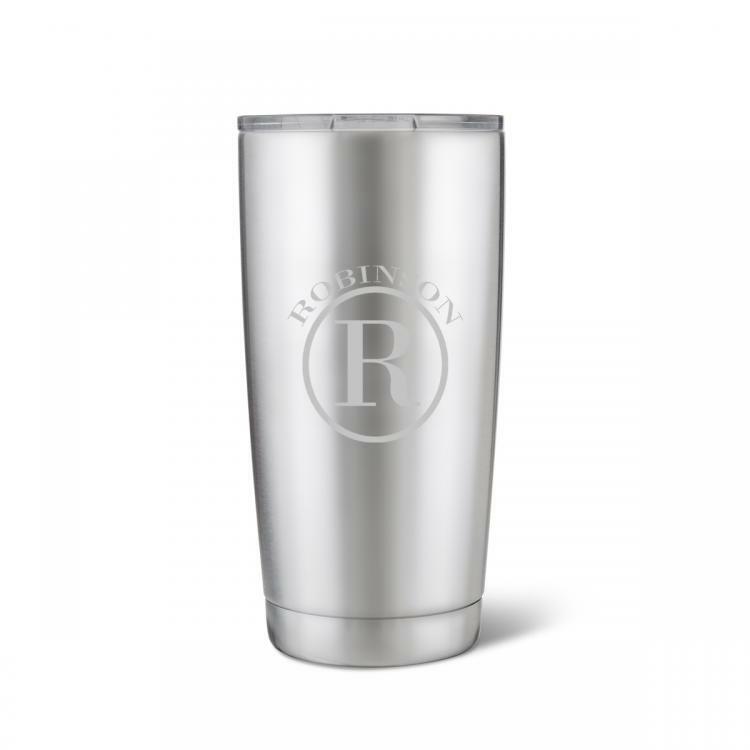 The above average Husavik 20 ounce Stainless Steel Tumbler is beautiful, functional, and perfect for all ages. A sealed lid prevents spills while your favorite beverage is kept the perfect temperature by the double wall insulated construction. Several personalization options are available to add the ultimate finishing touch. These are the perfect companion for picnics and tailgating and make greatly appreciated gifts for Graduation, Mother's Day, Father's Day, Weddings, Teachers, and countless others. Price: $40.00 In stock! - Browse this brand: JDS MarketingOur products are custom made to your specifications. This product ships up to 2 weeks after your order is placed. 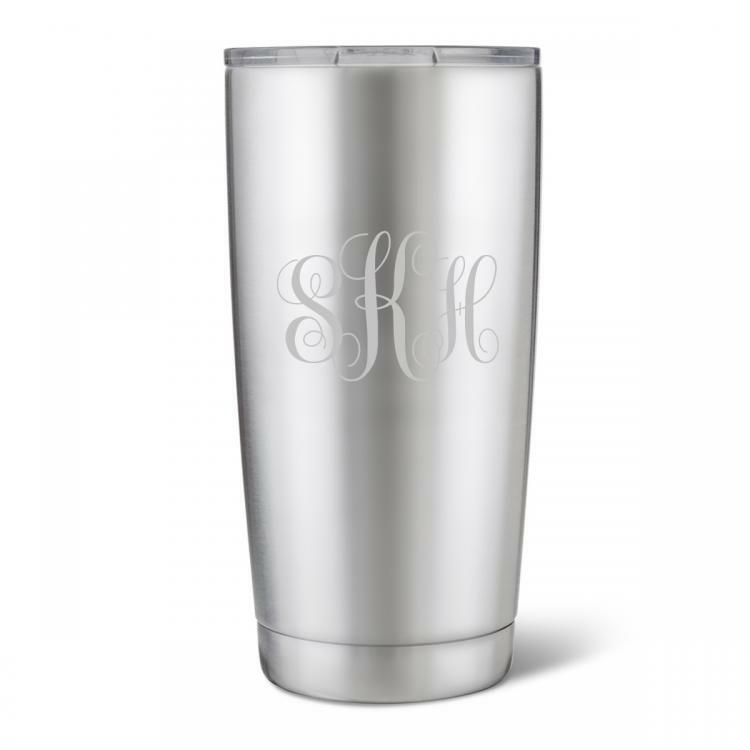 Choose your monogram style then enter initials and name if one is included in the text and words section exactly as they are to appear. For personalization without a monogram, skip to the notes and instructions section and enter personalization exactly as it is to appear; up to two lines, fifteen characters and spaces each.